With any business the way it utilizes information and stores that information is critical to organizational success. Smaller business will need a smaller network structure to create and send and store information. Larger corporations need a much more complex network and moving components to create store and save their valuable data. 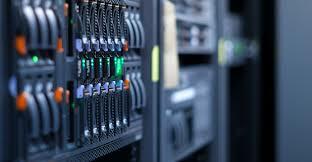 Larger companies will utilize servers to store their information which can be accessed daily and saved for future need. When this strategy fails and backups did not save the pertinent information server data recovery comes into play. 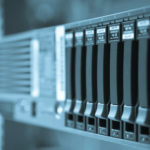 Typically, in a racking system there are a line of hard drives that are connected (striped) to increase storage capacity and redundancy in case of hard drive failure. When a hard drive fails on a server the indicated light will display. At that appropriate time the hard drive must be removed and replaced. The stripping will begin once the new hard drive is installed. The new hard drive once stripped is now connected to the network and can begin storing valuable data. When that system fails and the hard drive is not noticed or the indicated light does not display can and will shut down an entire server system. Most likely what has occurred is initially one hard drive was noticed down and replaced. Once the hard drive was reinstalled the server did not come back up and ready. Normally, this indicates a second hard drive has failed and was not recognized upon failure. We call this the stale drive meaning the drive has been down for some time and with the redundancy of the array designed to keep functioning. The server kept on working as it was designed. Depending on the array set up and drive capacity will depend on how many hard drives can go down before stoppage of the RAID array. This is when companies will contact us for RAID recovery services. Once we complete a phone diagnostic we come out to your location and take the hard drives for a complete diagnostic. Typically, but not in all cases server data recovery is needed. 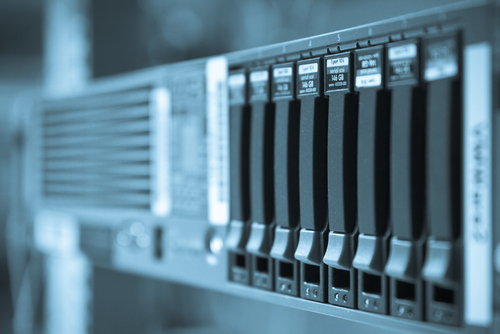 The raid data recovery service entails us to image each and every drive in the array. Hard drives will fail in all types of fashions. Hard drive clicking is a main cause of hard drive failure. Parts will need to be ordered if not in house and replace the heads. This is needed to regain functionality of the hard drive to successfully image the drive. This will allow us to get the necessary data to eventually rebuild the array. We will need to conduct this analysis on each hard drive. Once each hard drive is now reading properly and 100% imaged. We can now begin the server data recovery process. Rebuilding the array with the images we have obtained from the original hard drives. We never work with the original drives once imaged. Once the RAID array is rebuilt we save to an external hard drive and give back to customer. From there we highly recommend backing up their data to a cloud service. 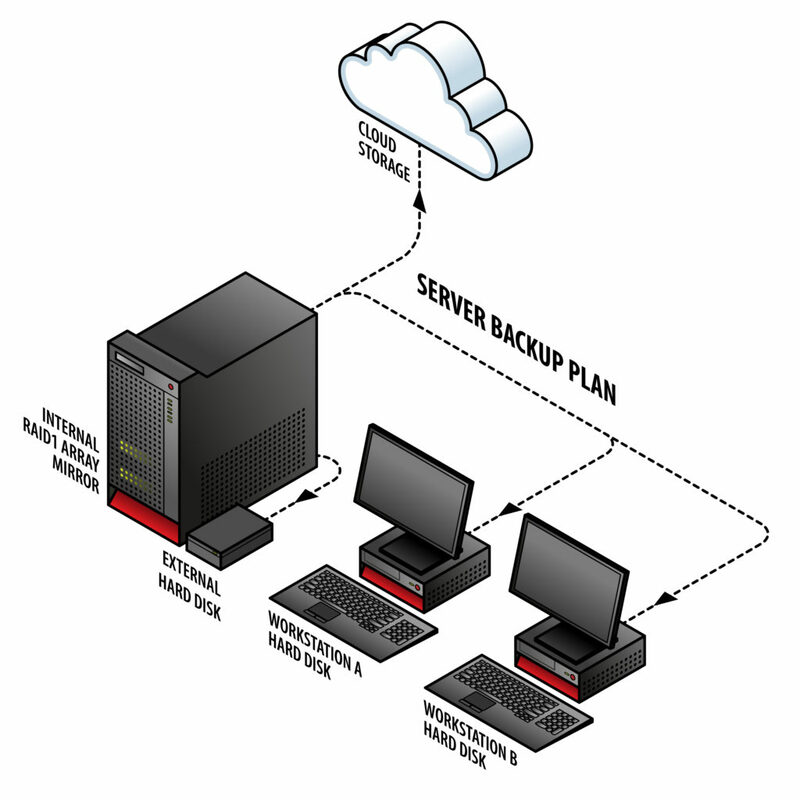 Data Recovery Cincinnati LLC offers a cloud service which we recommend. After the customer has the needed server data recovery completed and installed in their network. The backup phase should begin immediately and monitored daily. If customers choose us for their data backups we offer the following: 1. A healthy server the customer will have in house. 2. The data is then transmitted to the data center daily for backup. The customer will be able to access their data at any time. Server Data Recovery.